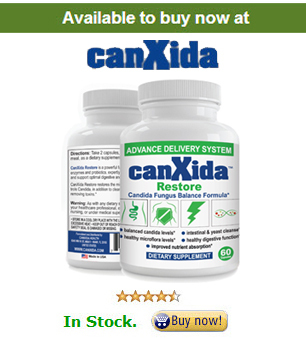 Note: The best time to take your antifungal during your candida cleanse is while you are eating these foods in my case I take a tablet of canxida after 2-3 bites and then continue with my food. Let’s take a step back now and be a little bit more specific about exactly what you can and can’t eat while you’re doing the cleanse portion of the anti-Candida diet. This is the most restrictive phase but you only have to stick with it for about 3-7 days – long enough for your body to start purging toxins. The majority of vegetables are at their highest nutritional value when they are completely raw. In this case, it’s easiest to make creative combinations of raw vegetables so that you can have a variety of different salads throughout your cleanse. A lot of people can’t digest or do not like the taste of raw vegetables. You might just find that cold salads don’t leave you feeling satisfied. If this is the case, you can certainly lightly steam your vegetables. The key word there is lightly. Vegetables that are lightly steamed are still bright in color, just barely fork-tender but with a bit of crisp. The longer you steam your vegetables, the more nutritional value they lose. If you’re really craving something different, you can lightly sauté your vegetables. A little bit of EVOO (extra virgin olive oil) is OK, but coconut oil is recommended for its antifungal properties. Grilling is a great alternative as well. No matter which method you use for eating your vegetables, be sure to add herbs and spices – seasonings that will make your foods more flavorful and far less boring. The vegetables you can eat while cleansing include avocado, cabbage, garlic, lettuce, radish, zucchini, artichokes, celery, green beans, okra, broccoli, Brussels sprouts, cucumber, kale, onions, radish, spinach, and seaweed. The above vegetables have two benefits. First, they provide nutrients to the body without introducing any of the molds or sugars that will actually feed the Candida albicans in your body. The second benefit is that they all contain fiber. Fiber helps to absorb toxins and promotes digestive health, meaning those absorbed toxins will move quickly through your digestive tract and out of your body. Fermented foods are great because the fermentation process crates the good probiotic bacteria your body needs to have to fight off Candida and restore digestive health within your body. Fermented foods you can eat (or make) include Kim Chi (a mixture of fermented veggies) and sauerkraut. Avoid all starches. This means no sweet potatoes, yams, winter squash, peas, potatoes, corn, beets, green beans, and parsnips. Nothing starchy. Don’t do it. Herbs and spices will be your best friend throughout the entire Candida diet. Many of them contain antifungal and antioxidant properties and will also aid in improving your digestion, increasing circulation, alleviating constipation, and reducing the general inflammation those with a Candida overgrowth often deal with. Some of the best include basil, cayenne, cinnamon, garlic, oregano, sea salt, black pepper, cilantro, cloves, ginger, rosemary, and thyme. These are all fragrant, flavorful herbs and you should be able to use them, in combination with healthy oils like virgin coconut oil and extra virgin olive oil, to make delicious, satisfying dishes. This list doesn’t seem like a lot. You’ll find there are other foods you can eat when you progress to the more advanced phases of the Candida diet, but limiting yourself for at least a few days, while paying attention to the supplements you can take during the cleanse, will definitely put you on the right track towards defeating your Candida overgrowth.